Account Managers Saskia Mol and Jelmer Lambooij are at your service. They make clear agreements with you. A quote beforehand that includes the target price and delivery time avoids surprises. Following your approval, Saskia and Jelmer make sure that your text is passed on to one of our translators. All of them are native speakers with extensive experience. 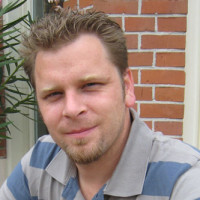 In 2004, Jelmer Lambooij took over the business, together with Saskia. Initially his work mainly consisted of managing the administration. 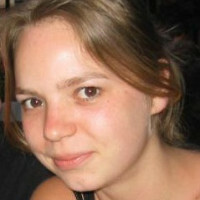 In the meantime, Jelmer has been working at V5 for more than 10 years and has become an all-round account manager. As a little girl, Saskia often came to the office. In 1986, her mother took over V5 Vertalers from the founder Emy Gomperts. Ten years ago the opportunity to continue her mother’s work presented itself and Saskia has been doing this, together with Jelmer, with great pleasure ever since. V5 Vertalerscombinatie was established by Emy Gomperts in Amsterdam in 1963. She still lives there and we got in touch with her to ask her about the early years of the company. Emy started the company with her then husband. He came from Germany and quickly mastered the Dutch language. As a result, he was frequently asked to provide translation and interpreting services. The term “translation agency” was not common at all, but when Emy discovered that translations did not necessarily need to be certified, and thus did not always require a civil notary, for example, she embarked on her adventure in the world of translation. Soon, there were five translators working for V5. The jobs came in quickly as well, partly because of their listing in the Yellow Pages (which required the creation of an entirely new category). What made V5 Vertalers stand out in particular was their personal touch. Was a description not clear? Then Emy would call a company and talk to them until she had found someone in the workshop who could explain it to her. Translations were sent by telex and partly due to the lack of punctuation, the entire translation was checked by telephone to avoid any errors. The arrival of computers made things considerably easier, of course. Still, our philosophy remains the same: a personal touch with attention to detail!